OCD is not an easy concept to explain to young children. 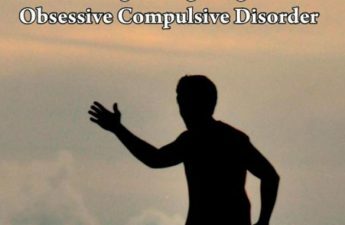 This book was written to give parents and professionals an entry into talking with children about OCD, a complex and usually progressive neurobiological disorder. 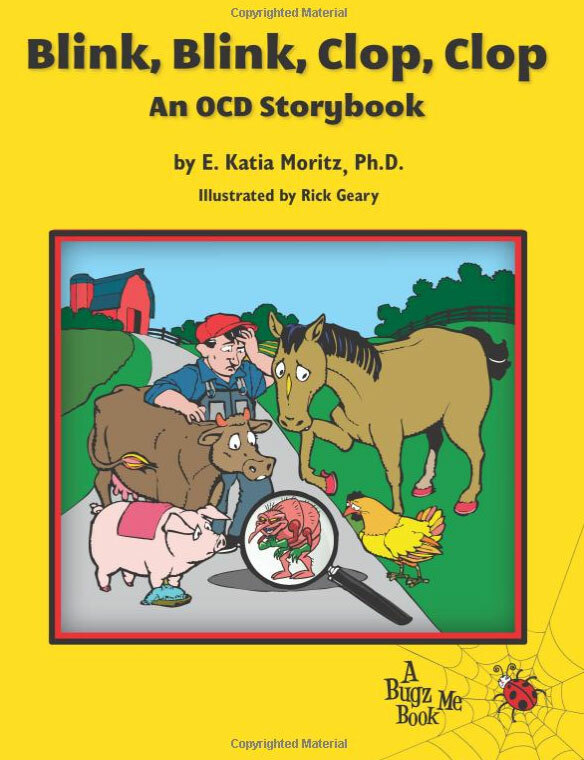 Children can relate their own experiences to those of Henrietta, Daisy, Snort, and Biscuit, a group of farm animals who have obsessive thoughts and compulsions that turn out to be caused by a bullying and mischievous insect named O.C. Flea. O.C. Flea represents the little, intrusive, and worrying voice that often troubles children with OCD. The use of this character makes this complex condition understandable and provides something more tangible for children and their families to fight back against. Without understanding what is happening to them, children with OCD often suffer from difficult feelings like guilt, depression, frustration, or anger. As the story progresses, the animals come to realize that they are more powerful than O.C. Flea. 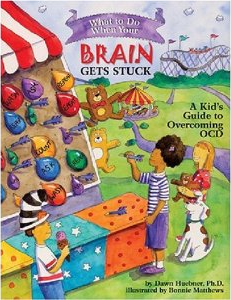 This book can help children begin the important journey to understanding their own symptoms and empower them to face their OCD just like the brave animals did. 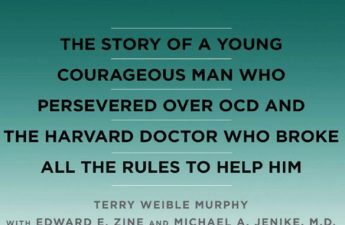 Not only is this book brilliantly written, but it has also helped my 8-year-old son identify with OCD, hence, has given him a clearer understanding of OCD and the symptoms that come all with this disorder. In this clever storybook, little animals are the characters with OCD. Each one has a symptom. For example, the chicken needs to keep brushing her feathers and lining up her food perfectly, while the cow is afraid she contaminated her own milk. The many animals go on a journey together in fighting the OC Flea. 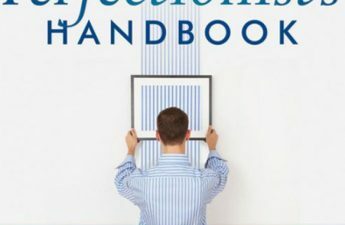 My son was able to relate to his own experience (and even his mother’s) while reading this book, that in my opinion, has examples to a “tee” of some of the disturbing thoughts and feeling associated with OCD. E. Katia Moritz, Ph.D., ABPP is the Clinical Director of the NeuroBehavioral Institute (NBI) and a Psychoeducational Liaison for Academic Options. She is a licensed psychologist in the States of Florida and Utah. Dr. Moritz is Board Certified in Cognitive and Behavioral Psychology. In Florida, Dr. Moritz established the Anxiety Disorders Program at the Miami Children Hospital (Dan Marino Center), and founded the first Pediatric OCD Support Group in the region. Dr. Moritz was an early researcher in the area of developing innovative treatment approaches for pediatric OCD. Subsequently, she co-founded, together with Dr. Jonathan Hoffman, the NeuroBehavioral Institute (NBI), where her work involves coordinating and treating patients and their families, supervising clinicians and post-doctoral residents, and working with patients undergoing intensive outpatient treatment. In 2013, she relocated west to develop the NBI program in the state of Utah. 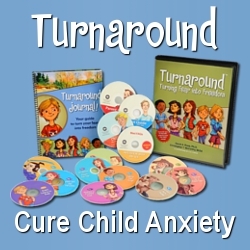 Dr. Moritz is dedicated to educating school personnel on early detection and management of pediatric anxiety and related disorders. Her current research interests concern empirical validation of creative methods to implement Behavioral Therapy in the treatment of OCD, and studying the effectiveness of intensive behavioral treatment protocols for anxiety. on Amazon in paperback and Kindle versions.